Overnight sleep testing is performed in our state-of-the-art facility for our Sleep Study Program. Participants will be staying in a comfortable, hotel-like environment complete with various amenities, including rooms with guest beds for children, Wi-Fi internet access, cable TV, and bariatric accommodations. Our comprehensive in-lab studies will be carefully monitored by professional and experienced iSleep Program® lab technicians. When you participate in our in-lab studies, you can be assured that you will have access to cutting-edge technologies and that our professional lab technicians will provide them with the best care possible. Polysomnogram. A Polysomnogram (PSG) is a type of test used to electronically transmit and record certain physical activities while a patient is asleep. 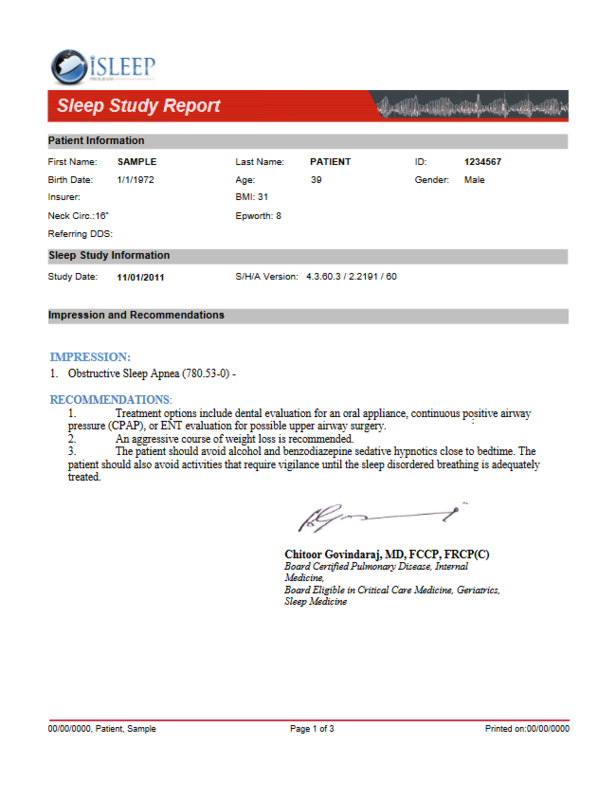 The data retrieved will be used by our sleep specialists to determine if a patient has a sleep disorder. Titration Studies. A Titration Study is a type of sleep study utilized to adjust continuous positive airway pressure (CPAP) therapy. Multiple Sleep Latency Test (MSLT). It is a sleep disorder diagnostic tool. Sleep specialists use this diagnostic tool to measure the time elapsed from the start of a daytime nap period to the first signs of sleep (known as sleep latency). The Multiple Sleep Latency Test is based on the idea that the sleepier people are, the faster they can fall asleep. This is a standard diagnostic tool used to diagnose narcolepsy and idiopathic hypersomnia. Maintenance of Wakefulness Test (MWT). This test is used to measure how alert a patient is during the day. It shows whether or not the patient is able to stay awake for a certain period of time. The Maintenance of Wakefulness Test (MWT) can be used as an indicator of how well a patient is able to function and remain alert during quiet times of inactivity. This test isolates a patient from outside factors that may influence their ability to fall asleep, such as light, activity, noise, and temperature (too cold or too hot). is a daytime study ideal for patients who are claustrophobic, are anxious about starting PAP therapy, or are struggling with the use of CPAP therapy for their sleep-related breathing disorder. During a PAP-Nap, patients work one-on-one with a sleep technologist. Using deep breathing, desensitization, and relaxation techniques, we strive to help patients become more comfortable with PAP therapy. It is a short, in-lab procedure that is attended by a sleep technologist. Its length can range from 60 to 180 minutes. It is expected that patients become comfortable enough during this time to fall asleep with the PAP therapy. iSleep Program Provides Home Sleep Testing throughout the US. We use a variety of different machines that best suited for you. Equipment can be picked up at one of our locations or shipped to you with a return label. 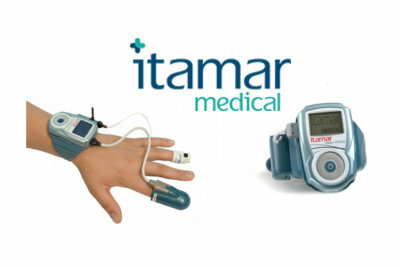 Home Sleep Test is easy to administer and is a good solution for diagnosing Obstructive Sleep Apnea. It is a perfect solution for busy professionals or someone who is homebound. The patient can self-administer the HST which allows them to spend the night in the comfort of their own bed and home. It is beneficial for those who find it difficult to find time out of their schedules to spend the night in-lab. It is generally more cost-effective. It can be ideal for homebound patients (i.e., elderly, people with disabilities) who need specialized care at night. Once you have participated in the iSleep Medical Program® Diagnostic Sleep Test, your results are then interpreted by our board-certified Pulmonologist and Sleep Specialist. The treatment depends on the severity of diagnosis and must be individually tailored to each patient. Do you suffer from sleep apnea? If you are looking for an effective treatment that can help with your condition, look no further because iSleep Program® offers CPAP Treatment – the leading therapy for sleep apnea. We offer testing and treatment for patients. How does it work? 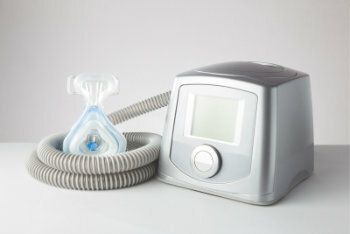 During sleep, patients will wear a nasal or face mask which is connected to a pump. The CPAP machine will send a constant flow of airway pressure to your nasal passages to ensure that your airway stays open during sleep. 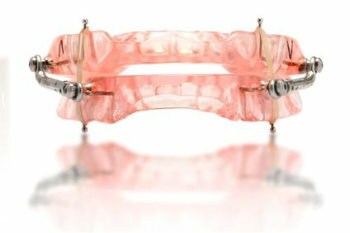 This effectively treats the spontaneous pauses in breathing linked with sleep apnea. Results and Benefits. Majority of people who use CPAP find immediate symptom relief. In fact, one study shows that CPAP treatment gave significant improvements for adults with moderate to severe obstructive sleep apnea. Other benefits also include reduced risk of heart disease, stroke, and diabetes. It can also help reduce the risk of motor-vehicle accidents since you can reduce your daytime sleepiness. CPAP treatment can also improve your daytime alertness, emotional stability, and concentration. However, did you know that the benefits of CPAP treatment extend to the patient’s bed partners as well? 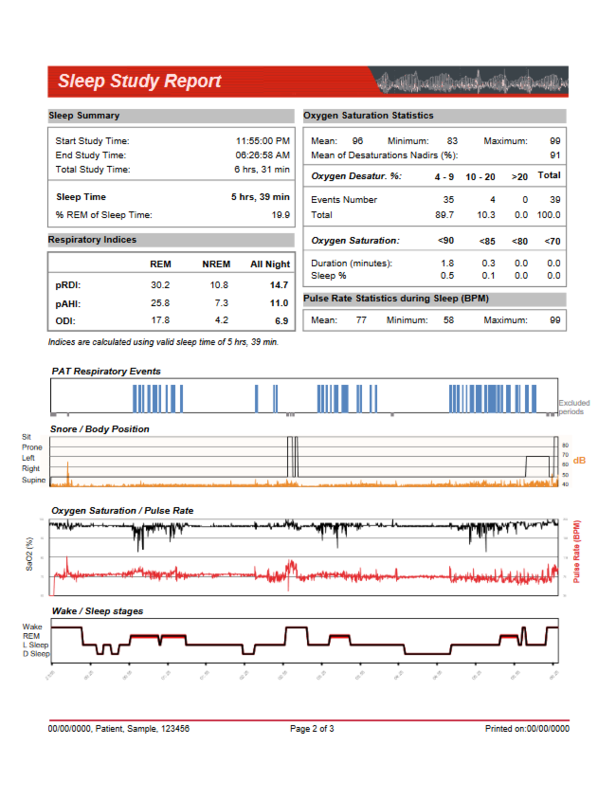 According to a study titled, “Bed Partners’ Assessment of Nasal Continuous Positive Airway Pressure Therapy in Obstructive Sleep Apnea,” bed partners of patients with obstructive sleep apnea who are treated with CPAP treatment experience significant improvements in sleeping patterns, personal relationships, and overall quality of life. There are different mask options that you can choose from. Whether you prefer to sleep on your back or on your side, there are different masks that you can choose from, to fit your preferences and needs. Be proactive. Be proactive when it comes to your health. Research about sleep apnea, sleep therapy, and how CPAP can help you. Talk to your physician or consult a sleep expert. Use it every night. Continuous therapy is vital to a better sleep and a healthier life. Bring it wherever you go. Are you planning to travel? Bring your CPAP machine with you! It’s important to continue your treatment wherever you go. Take care of your equipment. To ensure the longevity of your equipment and the effectiveness of your treatment, make sure to take good care of your CPAP machine. Proper maintenance is a must. Get professional help. Are you struggling with your treatment? 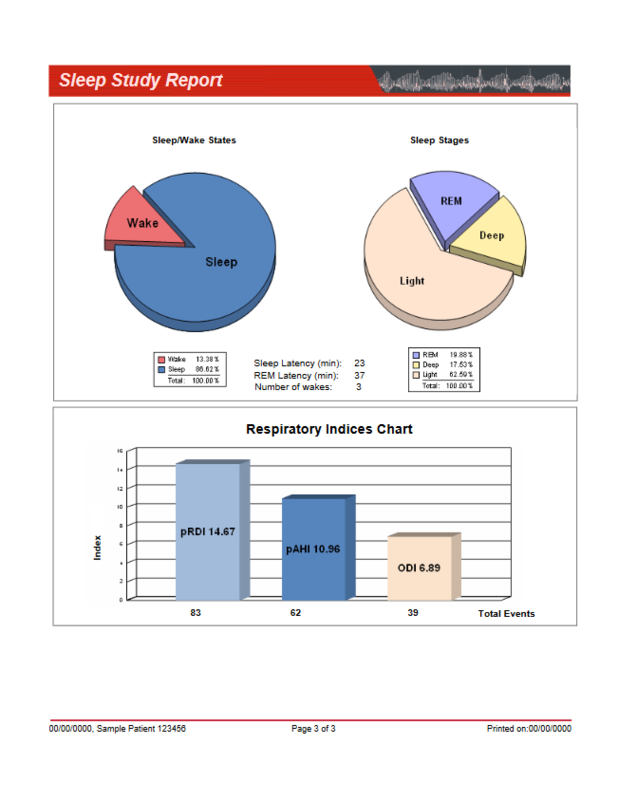 iSleep Program® is an expert in sleep studies and CPAP treatments. We can be a great source of information and support for you. As an additional benefit, we also offer transportation to and from our clinics for qualified individuals. Call us at 888-929-SLEEP or use our easy print-out forms, take those to your Primary Care Physician or Participating iSLeep Medical or Dental Program offices, and have them faxed over to us with your insurance information. iSleep Program® will do the rest. For service arrangements, Set An Appointment now.